Quality of the product is reflecting due to employee routine work behavior. Irregular / Attendance is not enough to requirements of the company. Company rules / policy violate by employee. Breaks for some time… one month break … two month as company rules and regulations. 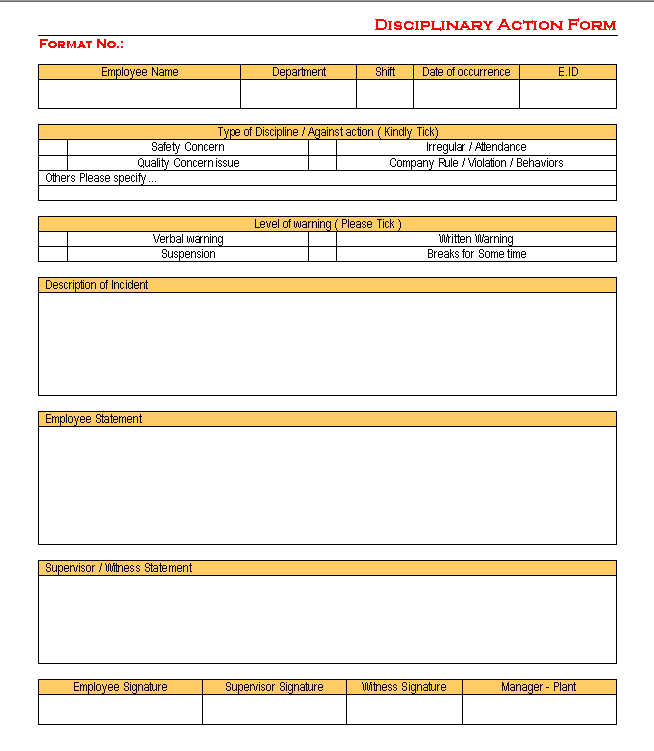 Disciplinary action form is generally used in every company, human resource department is owner of this format and used by any supervisor level peoples for maintain discipline in company.